Natural disasters cause fascination in everyone – as is apparent from the enormous amounts of press coverage that they give – Haiti being a good example of this. We all fear the day that we might be caught in one, and perhaps that is the reason for our fascination. This list looks at ten of the most terrifying natural disasters ever. Pacific typhoons are generally more powerful than Atlantic hurricanes, because the former have much more water over which they can gather strength. On October 12, 1979, Tip made history with the lowest air pressure ever recorded at sea level on Earth: 870 mbars. Standard sea level air pressure is 1,013.25 mbars. Hurricane Andrew only made it to 922 mbars. Tip had one 1 minute sustained winds of 190 mph. It killed 99 people, a low number compared to some of the others on this list, but this must be placed in the perspective of a long warning before the typhoon strikes. 44 of the fatalities were fishermen in the open Pacific. Tip sank or grounded 8 ships. One of these was a giant freighter that the storm broke in half. 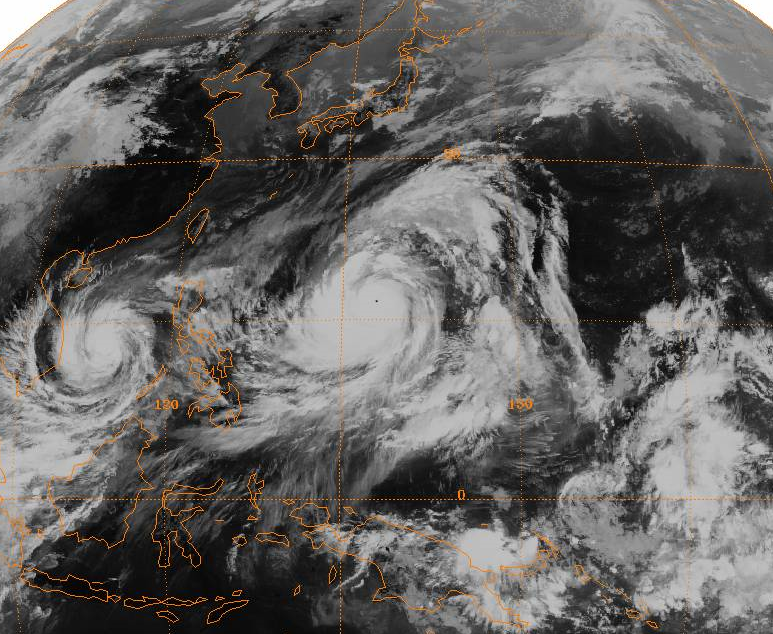 Not only was it the strongest cyclone, it was also the largest ever recorded, half the size of the United States, excluding Alaska. Limnic eruptions are one of the most bizarre natural disasters known. The criteria required for one to occur make them very rare. Lake Nyos is in a very remote area of the Cameroonian jungle. It is not very large, only 1.2 miles by 0.75 miles, but it is quite deep, 682 feet. Under the bed, a magma chamber is leaking carbon dioxide into the water. This changes the water into carbonic acid. Carbon dioxide is 1.5 times denser than air, which is why it will not rise from the bottom of a lake, unless shoved up by another force. There are only three such lakes known on Earth. On August 21, 1986, the carbon dioxide at the bottom of the lake suddenly erupted all at once, 1.6 million tons of it, and released a cloud of carbon dioxide from the lake. This cloud, being heavier than air, hugged the ground contours, and blew out of the lake at 60 mph, went downhill throughout the area at up to 30 mph, and displaced all the oxygen in several small villages, suffocating between 1,700 and 1,800 people, not counting all their livestock. The force of the gas expulsion also blew out the lake water itself, in an 80 ft high tsunami that stripped the trees, shrubs, and soil off one side of the shore. The most powerful earthquake ever recorded struck near Valdivia, Chile on May 22, 1960, at 2:11 PM local time. As many as 6,000 people were killed. Many more would have been, had it not been for Chile’s preparedness for earthquakes, and the remote location of the epicenter. Eyewitnesses reported that the entire world appeared as if God had seized one end of it like a rope, and slung it as hard as he could. 40% of the houses in Valdivia were razed to the ground. 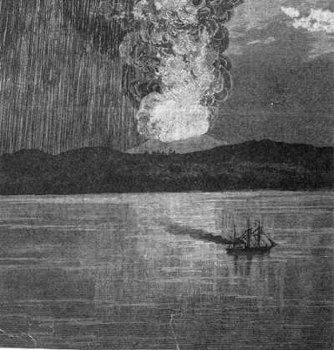 Cordon Caulle, a nearby active volcano, was ripped open and forced to erupt. The quake measured 9.5 in magnitude, and 35 foot high waves were recorded 6,000 miles away. Of all the seismic energy of the 20th Century, including the 2004 Indian Ocean quake, 25% was concentrated in the 1960 Chile quake. It caused 82 foot high waves to travel down the Chilean coast. Hilo, Hawaii was destroyed. 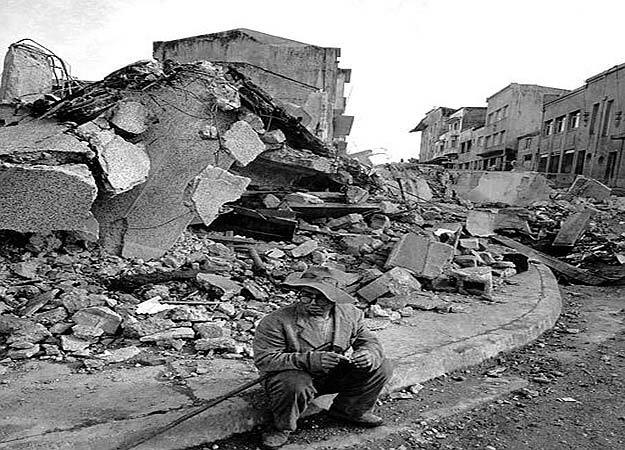 The quake possessed twice the surface energy yield the 2004 Indian Ocean quake, and equalled 178 billion tons of TNT. This would have powered the entire United States, at 2005 energy consumption levels, for 740 years. Europe is not accustomed to hot summers. Give them a break, hot summers almost never happen there. But in 2003, they got hit with one that would make the southeastern United States, or the Australian outback sit back and marvel. This lister is from North Carolina, where hot summers are expected and prepared for. In Europe, most of the homes built within the last 50 years before 2003 were not equipped with air conditioners, because none had ever been needed. Now, well over half of them have equipped themselves for the future. There were at least 14,802 deaths from the heat in France alone, most of them old people in nursing homes, or in single family homes without the ability to cool off. 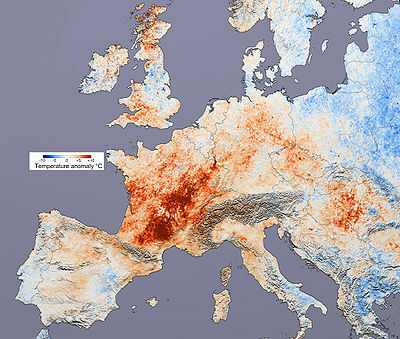 The heat dried up most of Europe, and severe forest fires broke out in Portugal. Some 2,000 people died there from the heat. About 300 died in Germany, where the weather is usually very cold to delightfully mild; 141 in Spain, where the temperature actually gets into the 90s Fahrenheit once in a great while; 1,500 in the Netherlands. Multiple temperature records, having lasted since the 1700s, were broken, then broken again a week later: 106.7 Fahrenheit in Brono, Switzerland. This melted a lot of Alpine glaciers into flash floods. 104.7 in Bavaria, Germany. 103 in Paris. The new record in Edinburgh, Scotland is now 91.2, which is unheard of there. The wine harvest came a month early to save the grapes. 75% of Ukraine’s wheat crops were parched to death. 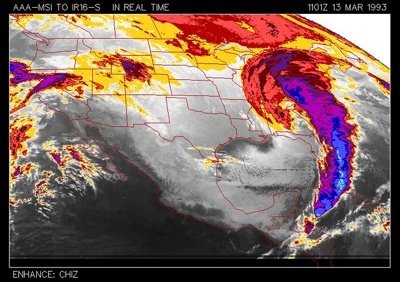 From March 12 to 13, 1993, a cyclonic storm formed off the east coats of the United States, so vast in size that it caused a unique hodgepodge of severe weather. Rarely does a single storm system cause blizzards from the Canada/U. S. border all the way down to Birmingham, Alabama, but this one did, and Birmingham received 12 to 16 inches of snowfall in one day and night. This was accompanied everywhere with hurricane-force wind gusts of 10 degrees Fahrenheit. The Florida panhandle received up to 4 inches, and the strange thing is that 5 people were killed by tornadoes, in the middle of this blizzard. The Appalachians of North Carolina, Virginia, and West Virginia received as much as 3.5 feet of snow, with drifts up to 35 feet. 300 people froze to death throughout the eastern half of the country when the electrical power was knocked out by falling trees. 100 mph wind gusts reached all the way to Havana, Cuba. The deadliest natural disaster ever recorded occurred through the winter, spring, and summer of 1931 in central China. There are three major rivers draining this area, the Yangtze, the Yellow, and the Huai. All three flooded catastrophically, because the winter snowstorms were particularly heavy in the mountains around the river basins, and when spring began, all this snow melted and flowed into the rivers. Then the spring brought particularly heavy rains. Then the cyclone season, which usually brings only 2 storms per year, brought 10, 7 of them in July. 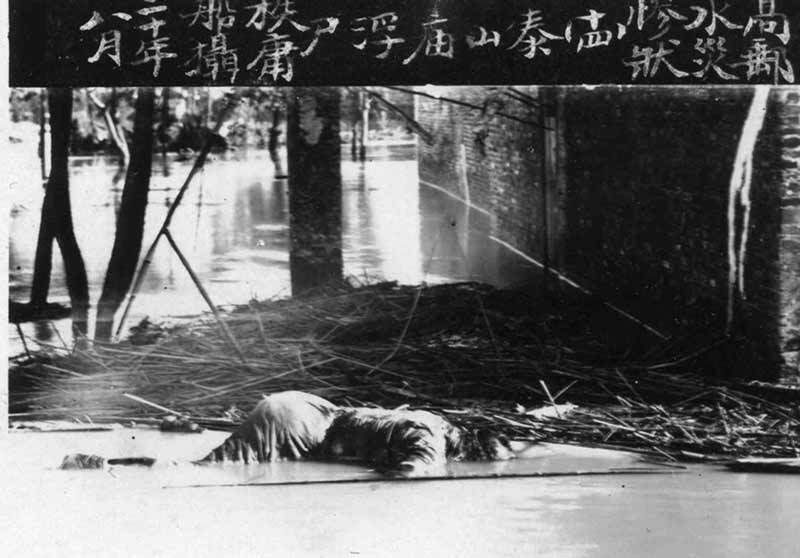 All this water swelled the three major rivers, especially the Yellow River, and because they drain a very large, very flat area of China, somewhere between 3.7 and 4 million people were drowned or starved. Nanjing City, China’s capital at the time, became an island surrounded by over 100,000 square kilometers of water, more area than the state of Indiana, or all of Portugal. 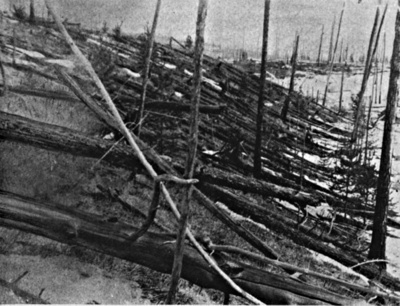 On June 30, 1908, at about 7:14 AM local time, an asteroid or comet plummeted over the lower Tunguska River, in Krasnoyarsk, Russia, a remote area of Siberia, and detonated at an altitude of 3 to 6 miles. It exploded with the energy of the largest thermonuclear bomb the United States has ever tested, the Castle Bravo bomb, 10-15 megatons. This is one-third the power of the largest thermonuclear weapon ever detonated, the Tsar Bomba. 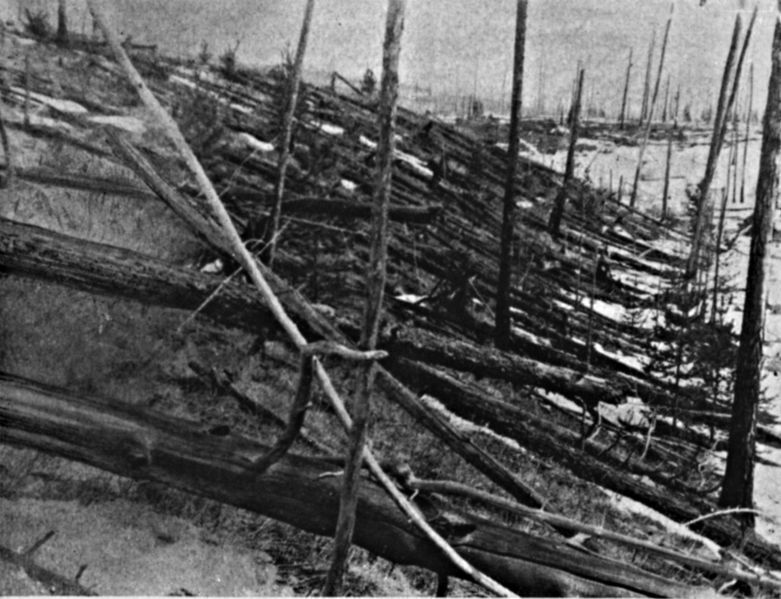 The airburst toppled about 80 million trees over 772 square miles of Siberian taiga, and would have registered at 5.0 on the Richter Scale. Thankfully, no one was killed, because the nearest eyewitnesses were about 40 miles away from ground zero. They reported seeing a bright blue column of light streak across the sky, almost as bright as the sun, then a flash, and a report like artillery fire right beside them. 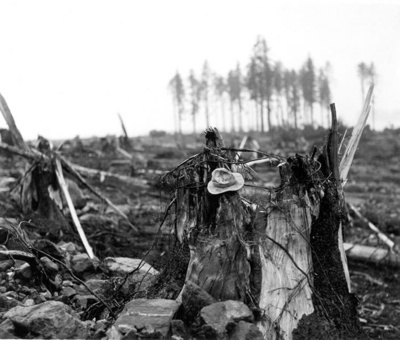 For one hundred miles around the epicenter, people were blown off their feet by the shockwave, their clothes were scorched off, windows were shattered, and trees seared to death and blown over. Iron locks were snapped off barn doors. This detonation was more than sufficient to incinerate the entire population of Japan, the Sao Paolo metropolitan area, the Buenos Aires metropolitan area, or the entire United States’s New England megalopolis from Boston to Washington, D. C.
On May 3, 1999, a tornado outbreak lasting for 3 days, began with a bang, when an F5 formed at about 7:12 PM local time. This tornado was the most powerful windstorm ever recorded on Earth, at 318 mph. It killed 36 people, and traveled northeast from Amber, OK, through Bridge Creek and Moore. 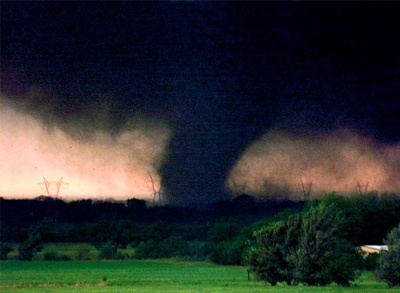 Moore is a southern suburb of Oklahoma City, and had the tornado veered north into the city, it would have probably caused more deaths than any other tornado in history, and become the costliest. 8,000 houses were obliterated. It shredded large vehicles with debris, and then wrapped them around telephone poles, threw them completely through warehouses, whipped 2x4s through wheel hubs, and pine straw all the way through 8-inch-thick pine trees. This was the first time that the local weather stations reported over radio that if residents were not securely underground, they would be killed. Hiding under mattresses in bathtubs, in ditches, or under overpasses was insufficient. Mt. Tambora is on Sumbawa Island, in south Indonesia. It erupted from April 6 to 11, 1815, but the worst of this was at the end, from 10 to 11 April. The power is rated as 7 on the Volcanic Explosivity Index, making this eruption the most powerful in recorded history, four times more powerful than the 1883 Krakatoa eruption. This means that the Tambora eruption was 52,000 times more powerful than the Hiroshima Bomb. All the vegetation on Sumbawa was incinerated or uprooted, mixed with ash, and washed out to sea. The trees formed rafts 3 miles across. Pumice ash does not mix well with water, and one of these rafts of ash and wood drifted all the way to Calcutta, India. 92,000 people were killed, most by starvation, the largest loss of life caused by a volcanic eruption in recorded history. The finer ash remained in the atmosphere for 3 years and covered the entire planet, causing brilliant sunsets, and the famous “Year without a Summer,” in both North America and Europe. The ash disrupted the weather, and caused global temperatures to decrease as much as 1.3 degrees Fahrenheit on average, an enormous drop. 1816 was the coldest year of the 1810s, and the 1810s was the coldest decade of the century because of the eruption. 12 inches of snow fell in Quebec City from 6 to 10 June, 1816. Crops in the entire Northern Hemisphere were severely damaged. Megatsunamis were only theorized until July 9, 1958, when, in Lituya Bay, a very narrow fjord of the Alaskan panhandle, a 7.7 magnitude earthquake shook 90 million tons of rock and glacial ice off the mountainside at the head of the bay. It dropped off all at once, almost vertically, and landed as a monolith into the bay’s deep headwaters. This generated the highest wave ever recorded on Earth, 1,720 feet. That’s 470 feet taller than the tip of the Empire State Building’s antenna. It is, in fact, taller than all but the five tallest skyscrapers on Earth today, and most scientists agree that it had sufficient power to rip these buildings from their foundations. The wave traveled from the head of the bay out toward the open ocean, and because the bay is so narrow, the wave was funneled up the mountainsides. It snapped all the trees off at 3 to 6 feet above the ground, everywhere up to 1,720 feet high around the bay. Most of these were 6-foot-thick spruce trees. There were a total of 3 fishing boats in the bay, near the mouth, and the wave sank one, killing the two on board. The other two were lucky to ride this wave up the mountainsides and then slosh with it back into the bay. One of them was anchored, and the 3-foot-thick iron anchor chain was snapped like thread when the wave lifted the boat. One of the survivors estimated the length of time between the wave’s overtopping of the island in the bay to its arrival at his boat as 2 seconds. If this is true, the wave was traveling 600 mph. It stripped away all the trees, grass, and soil down to the bedrock, and then dissipated in the open ocean.